- added 26 trailers with 104 skins of real companies. This pack adds in traffic 383 trailers with 1473 skins of real companies. - added 32 trailers with 128 skins of real companies. This pack adds in traffic 357 trailers with 1369 skins of real companies. Pack adds in traffic 325 trailers with 1241 skins of real companies. Version 1.9 – added 31 trailers with 124 skins of real companies. Version 1.8 - added 25 trailers with 102 skins of real companies. 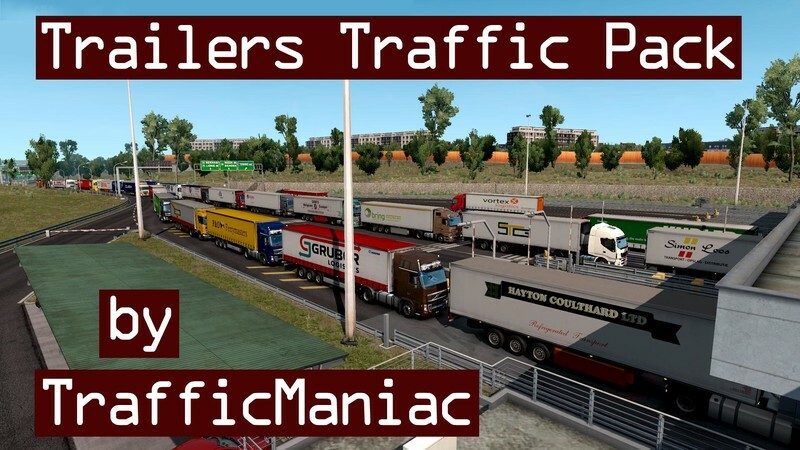 Pack adds in traffic 294 trailers with 1117 skins of real companies. Version 1.7 - added 28 trailers with 112 skins of real companies. Version 1.6 - added 52 trailers with 208 skins of real companies. Pack adds in traffic 241 trailers with 903 skins of real companies. - added 24 trailers with 121 skins of real companies. This pack adds in traffic 189 trailers with 695 skins of real companies. This ack adds in traffic 165 trailers with 574 skins of real companies. Version 1.3 - added 10 overweight trailers. Pack adds in traffic 133 trailers with 446 skins of real companies. - added 3 different live-stock trailers and gas cistern with skins of real companies. 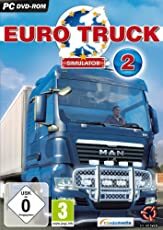 This pack adds in traffic 123 trailers with 446 skins of real companies. Pack adds in traffic 113 trailers with 419 skins of real companies.